Dimensions: 39 inches wide, 24 inches deep and 18 inches high. When introducing our Sonoma wicker collection, we wanted to give you maximum flexibility and extra options. 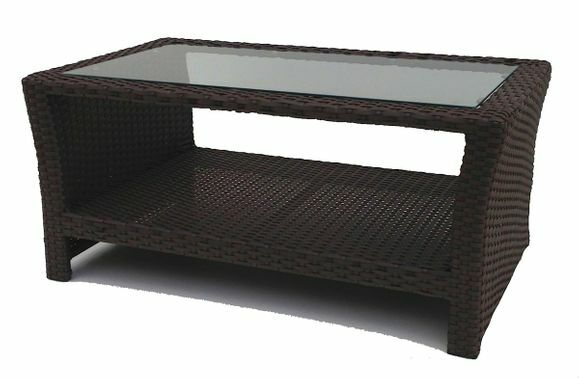 This rectangular outdoor wicker coffee table is a sofa's best friend and has generous room for storage on this table's bottom shelf. Glass top is included and is inset glass, giving you a view through the top of the glass towards the bottom of this wicker table. 39 inches wide, 24 inches deep and 18 inches high.